If you’re a driver of a regular passenger vehicle, you’ll find that penalties for DUI offenses can be very stiff. These penalties can range from steep fines to jail time. Still, depending on the severity of the offense, some people can qualify for a restricted or temporary driver license. However, this only applies to those who have a regular driver license. Those who possess a commercial driver license face far worse penalties. This is because they are held to a higher standard. When driving on the road, the stakes commercial drivers face are greater than the average driver due to the specialized cargo they may be hauling. Examples of specialized cargo include hauling gas in a tank, moving cement in a truck and transporting children on a school bus. An impaired commercial driver not only poses an increased danger to everyone around them, but also become a liability to their employer. If you receive a DUI charge with a commercial license, you are immediately in position to be terminated because you will not be granted a temporary commercial driver license. Keep in mind that CDL DUI penalties extend beyond the operation of a commercial vehicle. 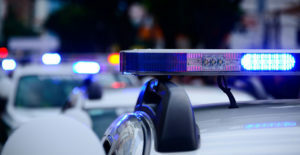 If a DUI charge is incurred while in operation of a personal vehicle, you could also face severe penalties that could affect your commercial license. 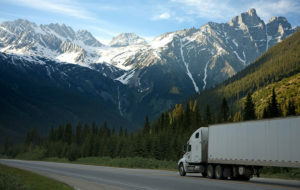 Many states have adopted the Federal Motor Carrier Safety Administration’s (FMCSA) regulations regarding commercial drivers and their blood alcohol concentration while operating a commercial vehicle. FMCSA requires that a commercial driver must have a BAC of 0.04 or lower. FMCSA regulations also dictate that commercial drivers cannot operate a commercial vehicle within four hours of consuming alcohol. If a commercial driver is involved in an accident, they may be required to submit to a random alcohol test as long as there is reasonable suspicion that they may have been under the influence. A random alcohol test can also occur if it is a condition of a driver returning to duty due to company policy. On top of alcohol testing, FMCSA regulations also allow for drug testing, but only under special circumstances. These circumstances include conditions of employment, reasonable suspicion, the event of an accident and a condition to returning to duty due to company policy. The most common drugs that are tested are cocaine, marijuana, opiates, phencyclidine (PCP), and amphetamines. Did you know that commercial drivers can have their licenses suspended for longer periods of time than a traditional DUI case? Instantly, your monthly income would disappear because with a commercial driver license, you can’t operate a commercial vehicle. Also, a commercial driver that is convicted of any traffic violation, short of a parking offense, must inform their employer within a 30-day period. This rule applies whether the offender was driving their personal vehicle or a company vehicle. For example, a school bus driver convicted of driving under the influence while operating their personal vehicle off the clock must inform their employer of the DUI charge. If the case progresses to a point where their noncommercial driver’s license is suspended or revoked, their employer cannot hire them as a driver until the restriction on the license has run its course. Most commercial drivers who have a DUI charge on their record find it difficult to get a new commercial driving job after being convicted. General behaviors and offenses you should avoid while behind the wheel of any vehicle are tailgating other drivers, illegal lane changes, driving over the posted speed limit, and operating a commercial vehicle without your CDL on your person. These penalties could lead to many consequences including heavy fines, higher insurance rants, temporary or permanent loss of your job and worst of all, the revocation of your CDL. Ultimately, you should avoid jeopardizing your commercial driver license with a DUI or any other traffic violation if you want to protect your livelihood and the fate of your employment in the future.